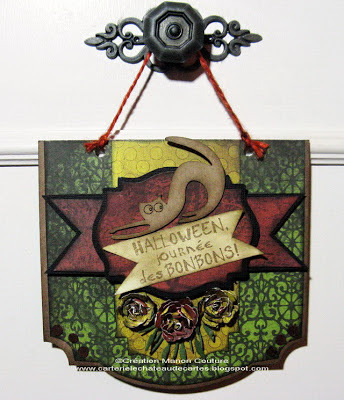 Magenta: Halloween - journée des bonbons! / Halloween - Candy Day! Halloween - journée des bonbons! / Halloween - Candy Day! Aujourd'hui 31 octobre, la journée des bonbons est lancée!!! Today, October 31, Candy day has started!!! Festons escalier (CBN16) que j'ai recouvert de papiers Magenta. 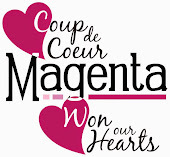 I created a little sign for the occasion, créated from a page from the Magenta Scalloped Album (CBN16) and Magenta Papers. et l'étampe Halloween journée des bonbons (C07712G). 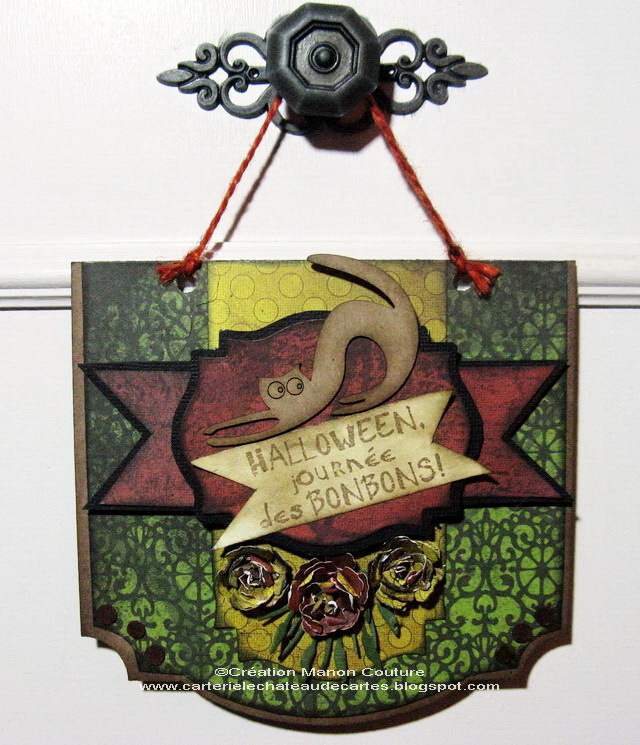 In the center I used the brand new chipboard Spooky Cats (CB668) and the Stamp Halloween journée des bonbons (C07712G).